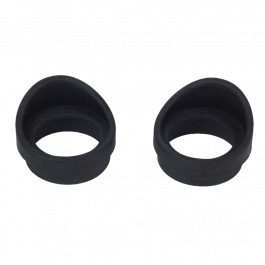 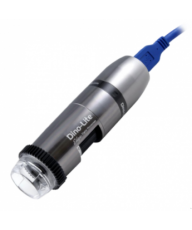 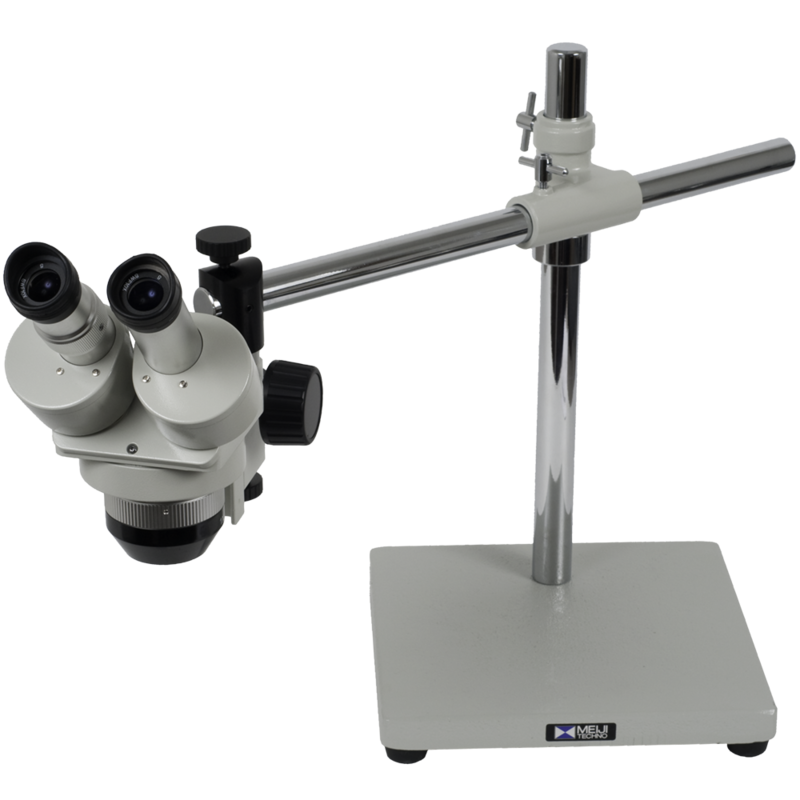 The Meiji MA305 Ring Light illuminator brings a full, 360-degree arc of cool, shadow-free illumination to your EM series stereo microscope. 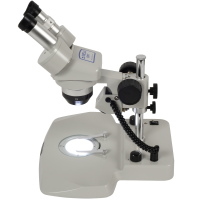 With a generous 1,500 hour lamp life and 6500K color temperature, the MA305 is a welcome addition to the home, professional practice, research lab or industrial inspection station. 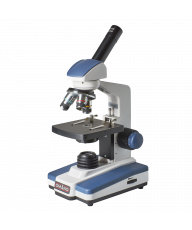 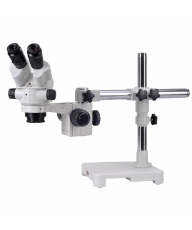 The EMT1-S4100 combines Meiji's 1x / 2x dual power stereo microscope body with the S-4100 single-arm boom stand and Lifetime Limited Warranty. 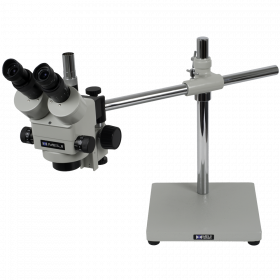 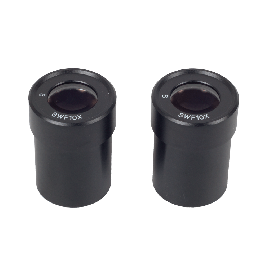 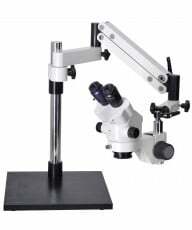 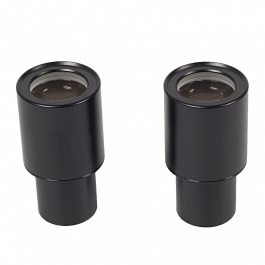 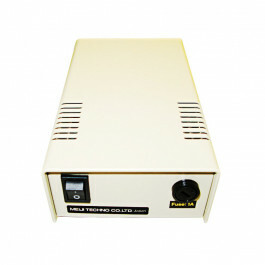 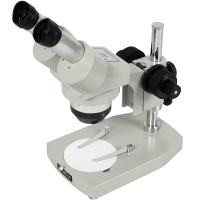 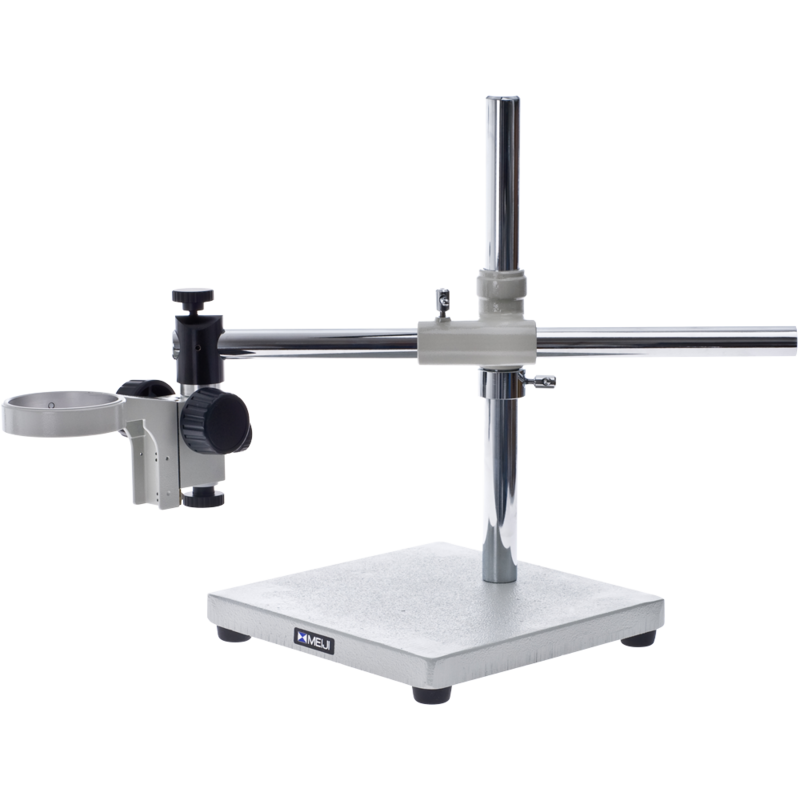 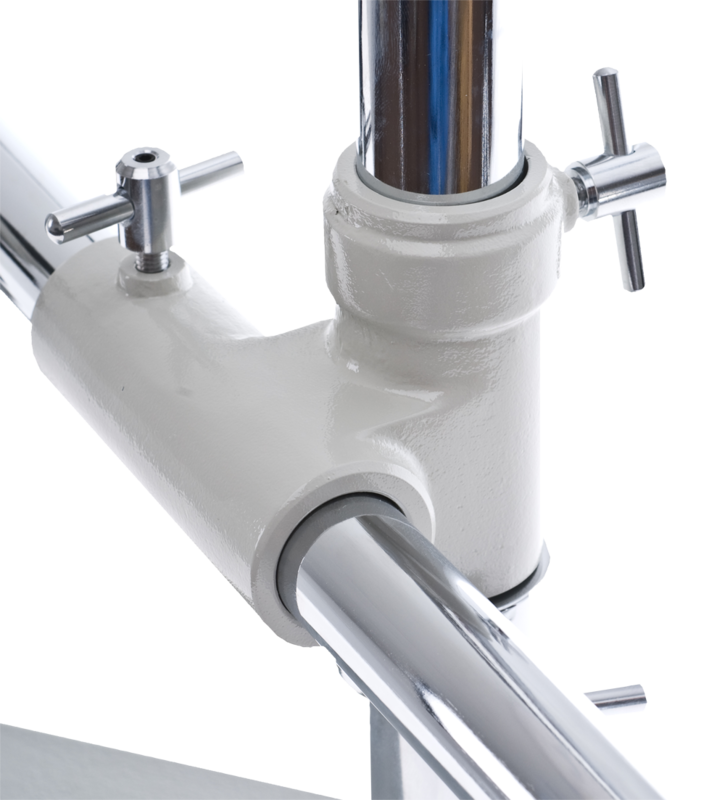 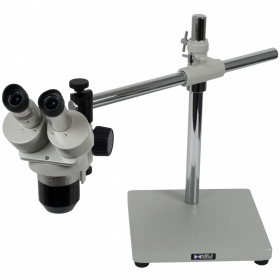 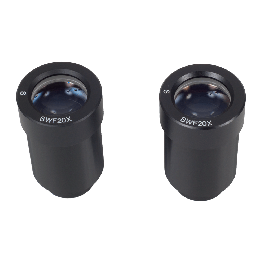 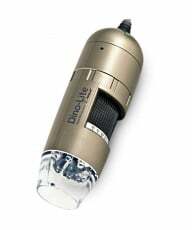 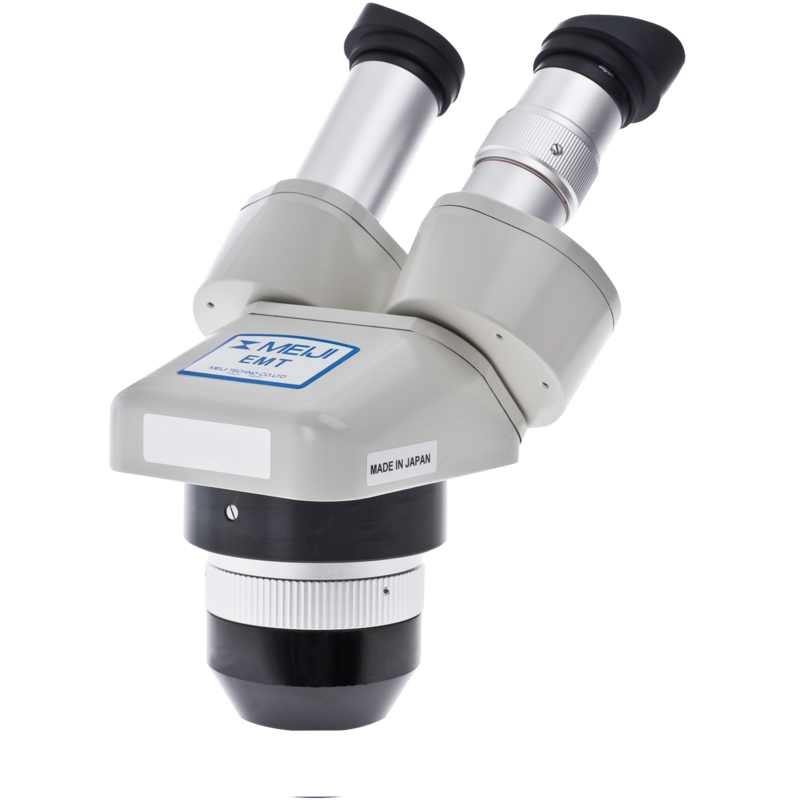 The microscope body has 1x and 2x objectives, rotates 360º for convenient viewing options, and has a maximum working distance of 81 mm without an auxiliary Barlow lens. 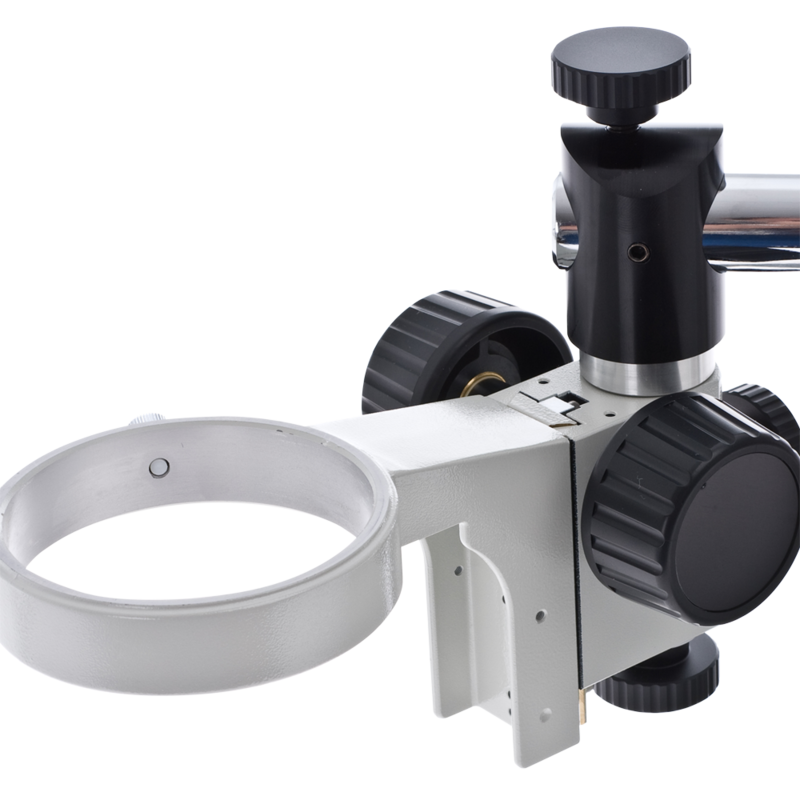 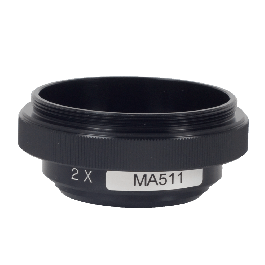 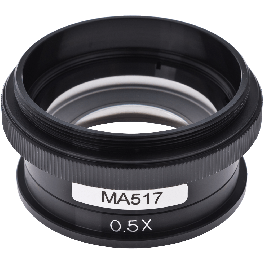 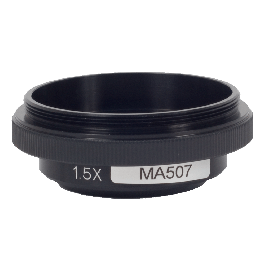 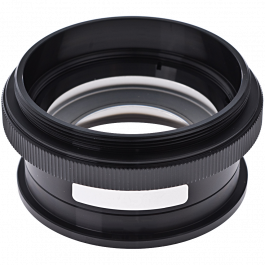 Depending on your choice of eyepieces (5x, 10x, 12.5x, 15x, 20x, or 30x), you can achieve magnification settings ranging from 5x-60x, without the corresponding cost of a zoom microscope.